Amigurumi isn’t hard to create, but it can seem intimidating for beginners or even experienced crocheters who haven’t tried their hand at this style of crochet before. Amigurumi patterns range in difficulty from easy to intermediate to advanced. Often the pattern doesn’t state how difficult it is, resulting in frustration when you can’t get it to work. 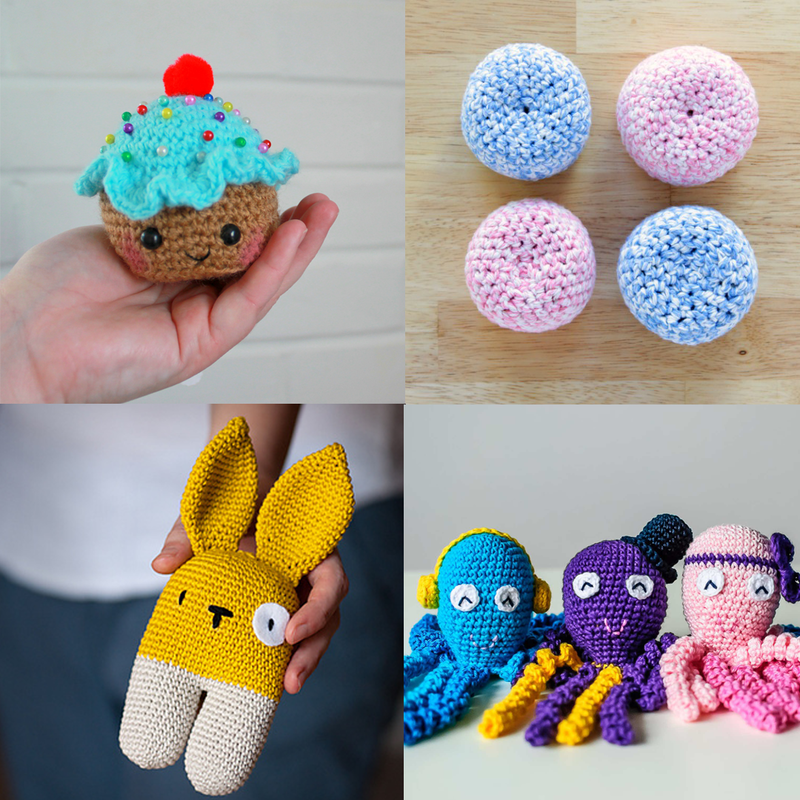 This collection of amigurumi patterns are perfect for beginners. They are easy to create and lay the perfect foundation for the start in your journey to becoming an experienced amigurumi creator. 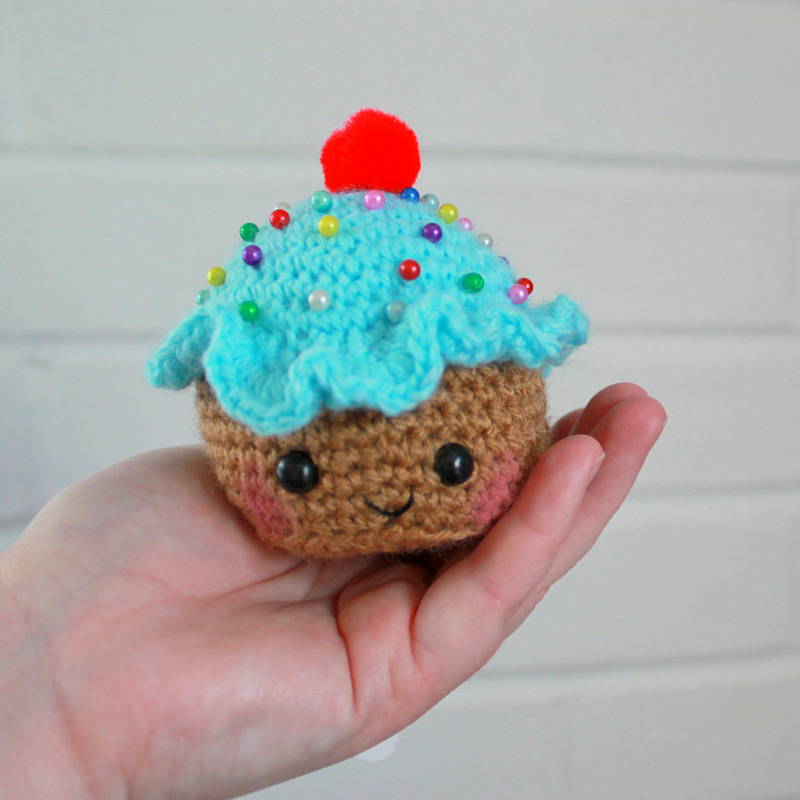 Try one of these easy amigurumi patterns below to hone your skills. 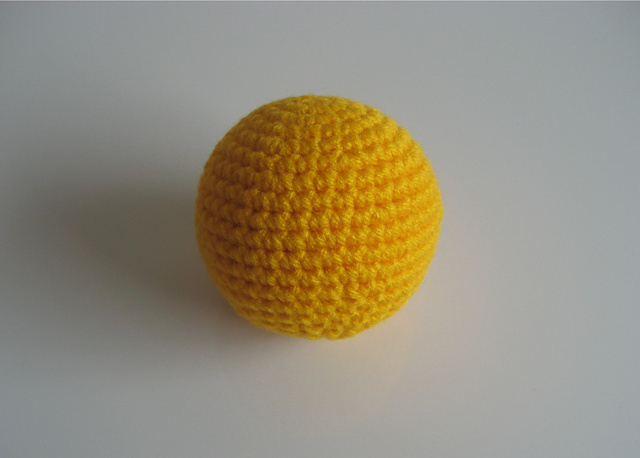 This free downloadable pattern by Ms Premise-Conclusion helps you to create mathematically corrected spheres of different sizes. This is the ideal place to start your amigurumi journey because it teaches you how to increase and decrease to create a 3D shape. 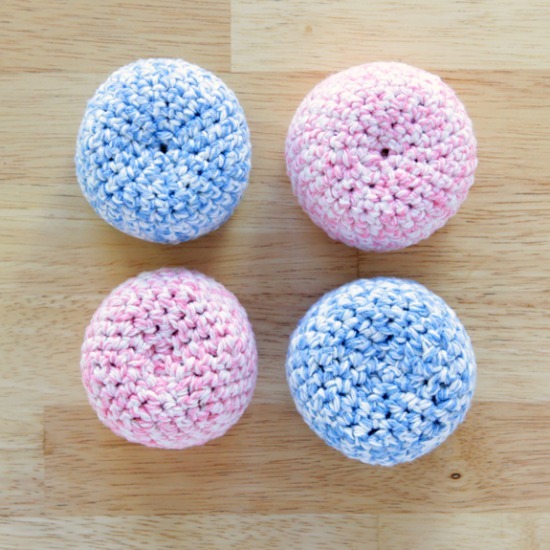 These easy crochet hacky sacks are a great choice for beginners. They are very quick and easy to make, and provide the perfect foundation to learn basic amigurumi skills. This collection of free patterns are easy to create since they are just spheres or ovals without any appendages. 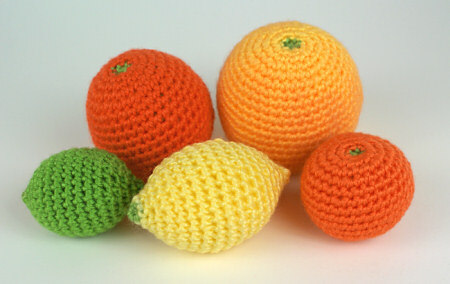 These little fruit toys can be a great addition to a toddler’s playset. 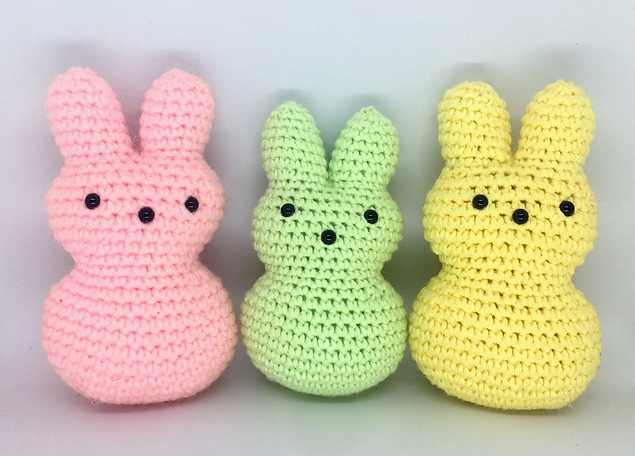 These adorable little bunny peeps are made in one piece and they work up quickly. They are perfect for Easter, and you can make a bunch of them in different colours. You could even use variegated (colour-changing) yarn to create more interest. 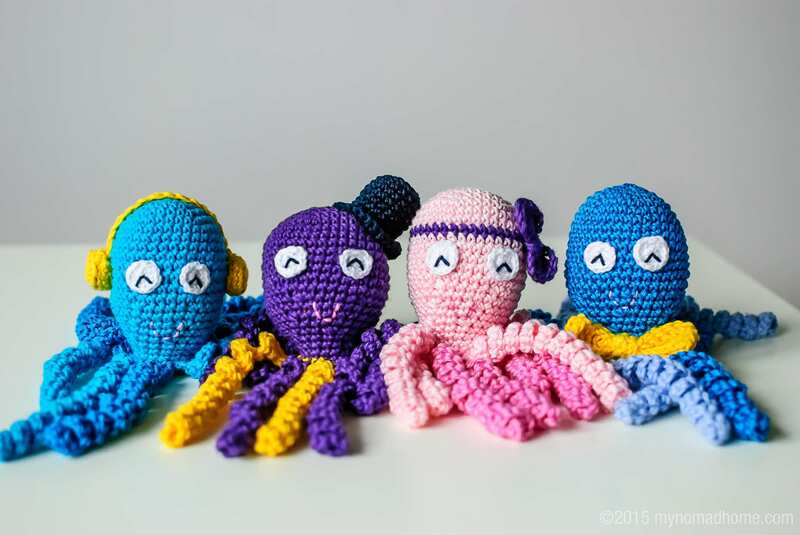 This amigurumi octopus pattern is easy to make because it’s a simple sphere with eight identical arms. You can customize them as you see fit, and maybe even donate a few to a hospital where they can be used to comfort premie babies. The arms resemble the umbilical cord, given the baby something to grab onto and hold to comfort them. 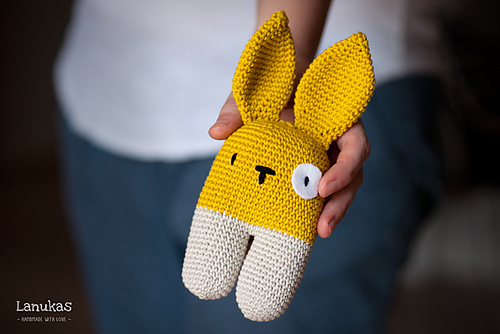 This bunny rattle is easy and fun to create. It shows you a new technique that’s easy to learn – crocheting two legs together to create the body from the bottom up. 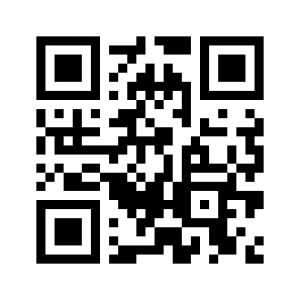 After clicking on the button below, scroll down for the English pattern. 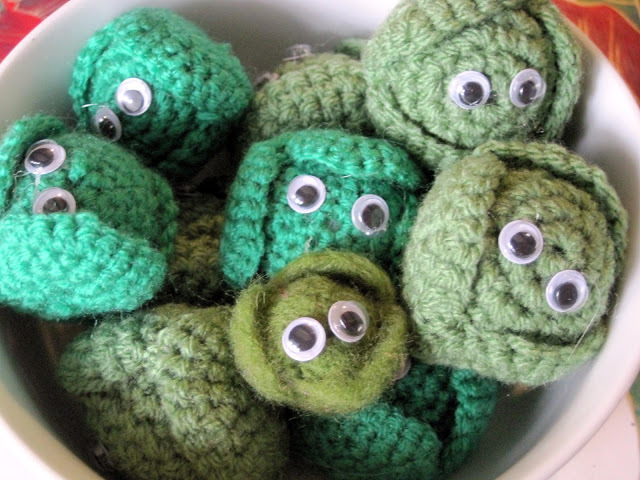 These little brussel sprouts are quick and easy to make, and you don’t need a lot of yarn to create them. Keep in mind that if you are gluing the eyes on, they won’t be suitable for little children. To make them suitable to children, you can crochet eyes with yarn by making a magic circle with black or white yarn and adding accents for the pupils. These little cupcakes are quick and easy to make, and they can be used for pincushions, children’s toys or even as a decoration in your kitchen. Make one or a dozen, you’ll be surprised by how fun they are to create. Try one of these beginner patterns to hone your skills as an amigurumi creator, and you’ll soon be able to tackle intermediate or even advanced patterns. Start slowly to avoid becoming frustrated or overwhelmed; Rome wasn’t built in a day. Crocheting should always be enjoyable and relaxing, not stressful. If you need extra help with some of these patterns or techniques, leave a comment below and we’ll sort you out in no time.